Valencia, on the eastern coast of Spain, is the third largest city in Spain after Madrid and Barcelona. 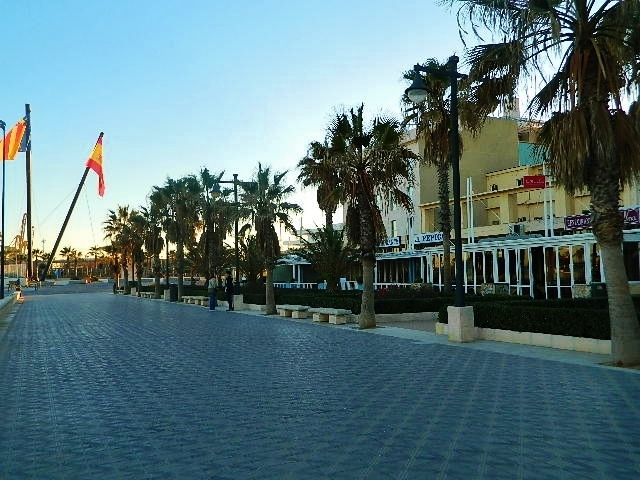 From the Rota area, you can drive to Valencia in about 9 hours. 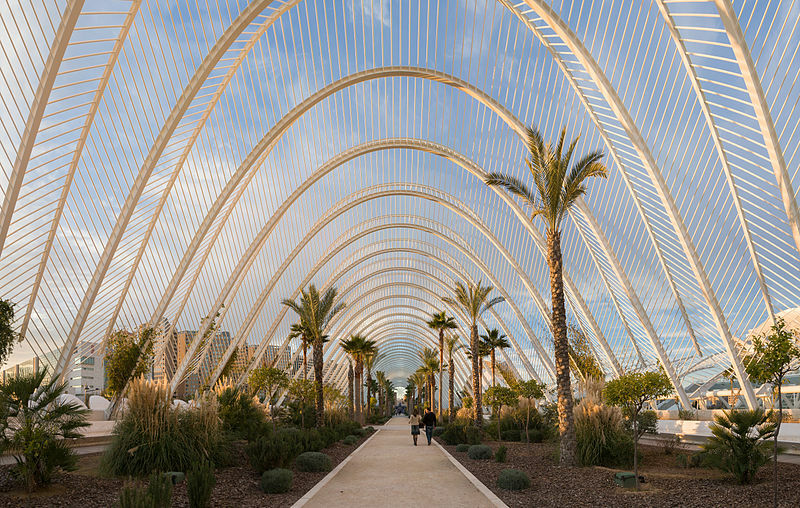 Valencia is home to la Ciudad de las Artes y las Ciencias (the City of Arts and Sciences), an entertainment-based cultural and architectural complex which is considered the most important modern tourist destination in Valencia. Valencia coast--beautiful beach on the Med! 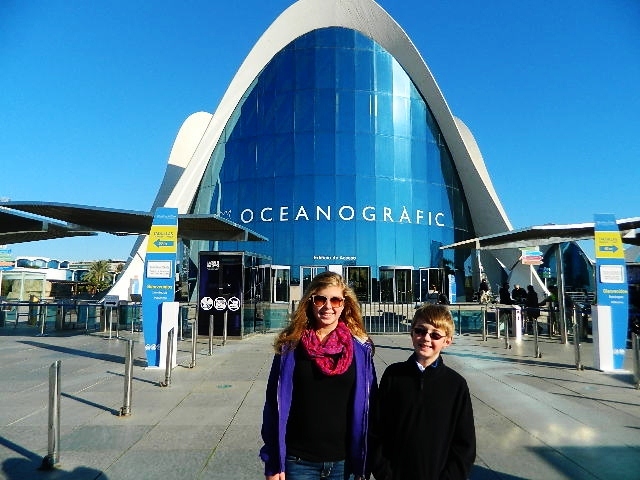 The complex consists of an Imax cinema/Planetarium/Lasarium, an interactive science museum, a landscaped walk which showcases indigenous plants of Valencia, an opera house and performing arts center, a covered plaza for sporting events and concerts, a suspension bridge which is over 400 feet tall, and an aquarium, the Oceanografic. The complex was completed sometime in the mid-to-late 1990's, so really isn't very old, but because of the style of architecture, the place has a real retro/funky feel to it. The aquarium is the largest in Europe. Ready to go in and explore! 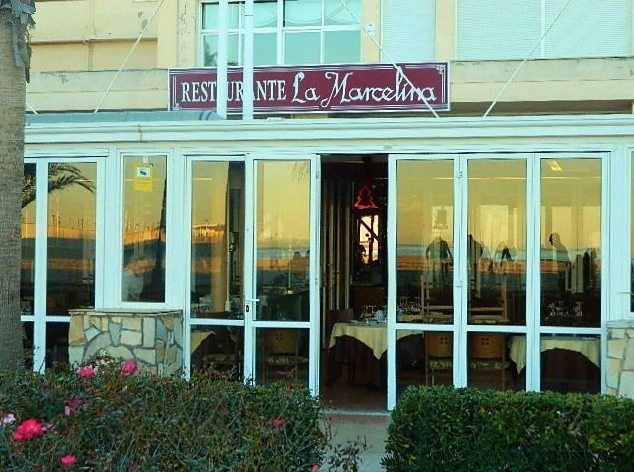 Beachfront restaurant where we ate paella.